Institutionalised young people – Romanian ambassadors to international camps! 7 young people from Iași participated in this year’s camps – in Tiszaladanyi, Hungary and Ada, Serbia. The camps are organized around various topics, most of them related to multiculturalism, civil rights and European integration, entrepreneurship, social and professional insertion, health, drug use effects. The young participants consider this a very useful opportunity, as they have the chance to meet young people of a similar age, to explore other cultures and to make new friends. At the 2018 Bucharest Half-Marathon, Genpact Romania chose to support the Boian family and to help them fulfill their dream of owning their home. 200 members of the Genpact staff ran the Half-Marathon, and the company donated 15,000 EUR to the Boian family, which will be used to create the necessary conditions for bringing the two boys back into the family. From 7 to 9 May, a group of social workers and counsellors in the Botoșani county participated in a professional exchange in the Maramureș county, an area that most of them visited for the first time. A premature birth came with a shock: the young mothered delivered not one, but four children – two girls and two boys, all beautiful healthy babies. Although deep down the couple was happy to see them, the two parents were so shocked to suddenly have eight children, that they decided to give up the four newborns, especially since they shared a home with a paternal grandmother and two other grandchildren. They say the postman always rings twice. Mirela felt the full weight of this adage. Mothering seven children, two of them with disabilities and most with serious eyesight problems, is no walk in the park. The seven children are aged 10 to 21. The father only visits seldom and does not contribute financially to their upbringing. It is extremely hard for Mirela to raise them on her own and to face all her difficulties: she is an icon of will and strength, optimism and courage. Sonia and Paula’s most serious problem is the lack of a house: they do not own their own home, so they are permanently moving around looking for cheap accommodation. Desperate situations can sometimes turn into opportunities and a chance to a better life, and a helping hand from the community can mean the world to a family that is facing difficulties. Ivan is a young man of 17 years from Cluj County. His life has been pretty tough so far, despite the fact that he lives with his family. His father lost his job and started drinking, his mother followed him on this path, the family income has declined, and Ivan felt overwhelmed by the hardships that the family went through. His mother would no longer feed him, wash his clothes, and his father would no longer pay him any attention and would not help out with the costs to attend high school. Ivan's brother would not help him much either, being busy to develop his own business in construction. The Crețu family from Baia Mare (Maramureș) consists of parents and 11 children and they joined the programme to prevent child separation run by Hope and Homes for Children Romania in 2011. At the time, the parents had no job, no house, they all lived in the paternal grandfather’s house, and the relations with him were tense due to lack of income, the grandfather wanting to evacuate them. The children did not have birth certificates, one of them had difficulty moving due problems with the foot, none of them was enrolled in kindergarten, and children of school age did not attend classes. The end of August came with a visit to the Prislop Mesteacăn monastery (Maramureș County) for the children, young people, and instructors at the "Red Valley" small group home in Baia Mare and with an unexpected encounter.At the proposal of their instructors, the children were taken to visit the Prislop Monastery. The instructors invited the staff taking care of children also to spend time together and share their experience of helping vulnerable children in a less formal setting. At the beginning of the holidays, children in at the small group house "The Red Valley" in Baia Mare were asked what they would like to do on vacation. "Let's go somewhere at the pool" they all said. In early August, an unforgettable day at the "Old Mill" pool in Săcălășeni was planned for children. Together with the teachers they started preparing their backpacks since the evening before with everything they needed: briefs, bathing suits, towels, flip-flops, sandwiches, water and donuts. In the two coolers they put juices, apples, bananas, chocolate croissants and fruit jellies. "Hello, Alina! This is Cristian Vorovenci, we met at Bucharest Marathon 2015 and I would like to run at the 2016 Marathon for Team Hope." After this discussion, Cristian not only ran for Team Hope, but he also won second place in the relay trial at OMV Petrom Bucharest Half Marathon together with Andrei Ștefana and Ionuț Drăguşin and dedicated the award to team Hope and Homes for Children and to the cause it supports. 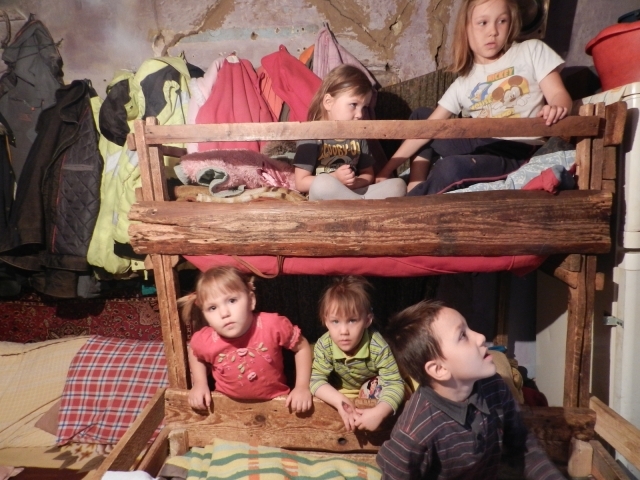 From the care system to "home"
Luiza and Liana spent their childhood in the child care system in the Maramureș County. They were abandoned by their mother at birth due to a difficult material situation and a violent and alcoholic husband. When their mother managed to get out of that relationship and found a man with whom to live a quiet life, she went looking for the girls and started to bring them home during holidays. In time, they built a beautiful relationship, and the girls really wanted to return to their mother and live with her, with her current husband, and their sibling aged 12. In 2015, when the family reintegration happened, Liana was 15 and Luiza was 18. Approximately one month ago, we encountered the Neculai family. Back then, the children were sleeping in wooden boxes, in an extremely damaged room, and even that they were meant to evacuate as soon as possible. The children’s destiny would have inevitably been to enter the protection system where, somewhat ironically, their mother also grew up. The authorities in Bacau asked for our urgent support in this desperate situation. We immediately agreed to do everything in our power to prevent the tragic separation of these children from their parents, who love them immensely in spite of the inhuman conditions in which they were forced to live for such a long time. Because we managed to intervene in the most critical moment, together with the local authorities we had the chance to determine a major change in the life of this family, in just a few weeks. Now they have a home of their own, fitted with everything necessary, and the perspective of a bright and sustainable future. Moving in their new home was more than memorable, not only for the members of the family, but for us as well. The joy on their faces can't be described, and their reaction to things we take for granted left us amazed. Simple things such as looking at oneself in the mirror and eating at a table were, for them, new and fascinating discoveries. They had lived for so long at the edge of civilisation that they couldn’t imagine a better life was possible. Such moments and happy-end stories remind us of how much we love what we do and how important our work is. The results of our efforts are seen where they matter most - in the eyes of these children. Ice cream at the best ice cream parlour in Baia Mare, first time travelling with the train, followed by a expedition into the world of plants at the Botanical Garden in Jibou (Salaj County), visit the Fire Department and many other joyful moments. This is how the children from the "22 Decembrie" Day Centre in Baia Mare spent their ”Alternative School” week (April 18th to 22nd). At the ice cream parlor, the children opened their wide eyes wide opend and their senses were awakened senses in front of all the assortment of ice cream. Each one chose the favourite flavours: nuts, coconut, strawberry, vanilla, chocolate, fruit or lemon, and enjoyed it with great pleasure. For some of them, this was the first they went to a gelateria, so the experience was more meaningful.